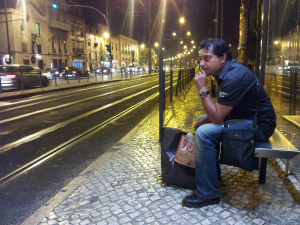 Walking through the streets of Lisbon wondering where everybody is and at the same time enjoying the evening calmness and quietness. Taking some time to enjoy the real and secret beauty of a city at night quietly telling the story of her history. What a feeling.